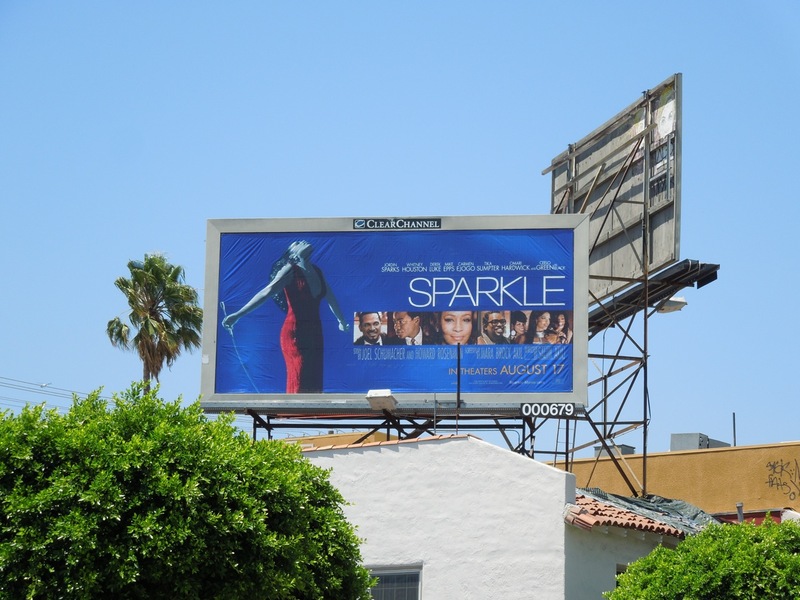 The big question on everyone's lips, is can Jordin Sparks and Whitney Houston's remake of Sparkle shine brightly where the likes of Mariah Carey's Glitter and Christina Aguilera and Cher's Burlesque lacked Hollywood lustre. 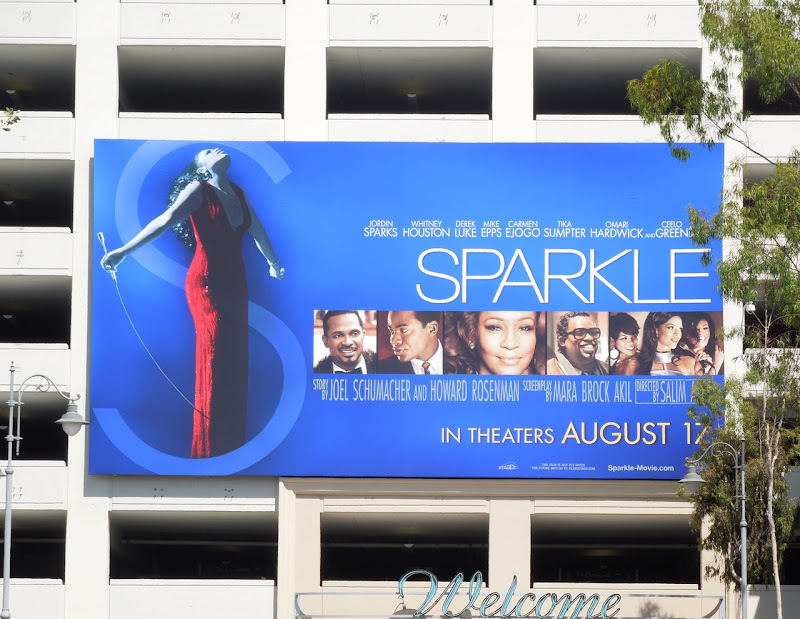 The remake of the 1976 movie inspired by The Supremes, marks the acting debut of the American Idol winner and is also the final movie role of iconic pop star and actress Whitney Houston before her tragic death. 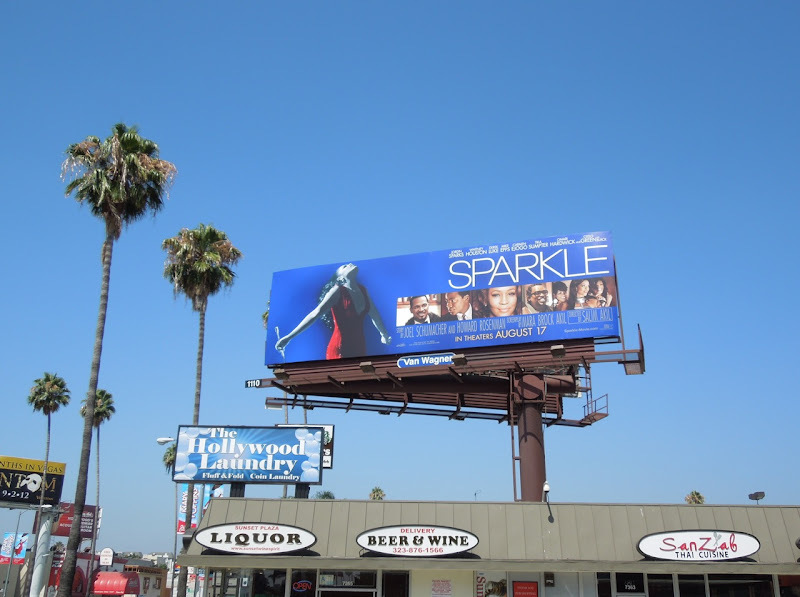 These billboards for the 1960's Motown themed movie certainly catch your eye in the skies around L.A., but it's slightly unfortunate (or an uncanny coincidence) that the standard landscape billboard was located above a liquor store along Sunset Boulevard. 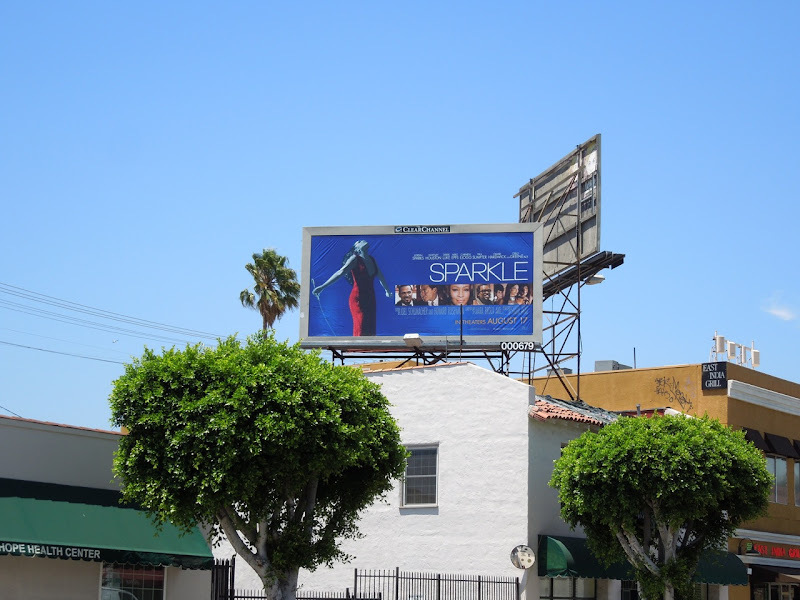 This billboard and the smaller creative spied along La Brea Avenue were snapped on July 24, 2012. 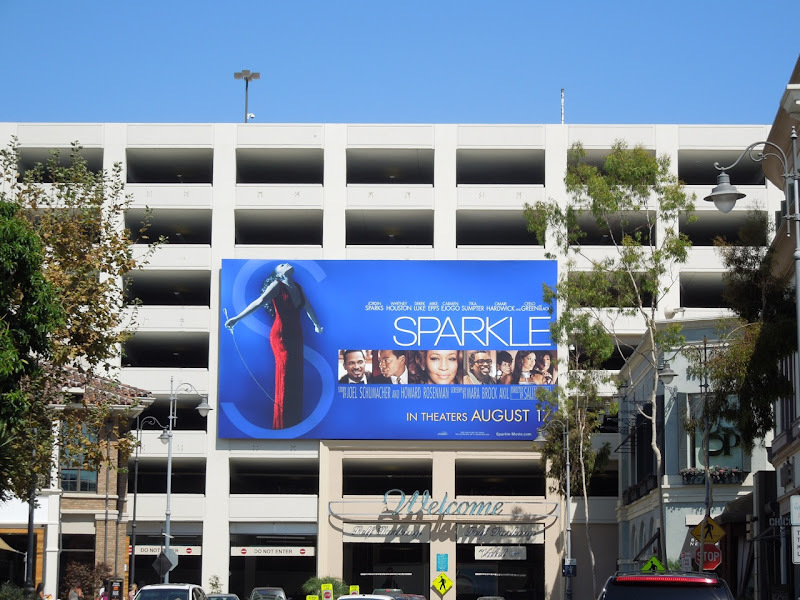 UPDATED: Here's a slightly larger creative for the movie spied at The Grove shopping centre on August 11, 2012. 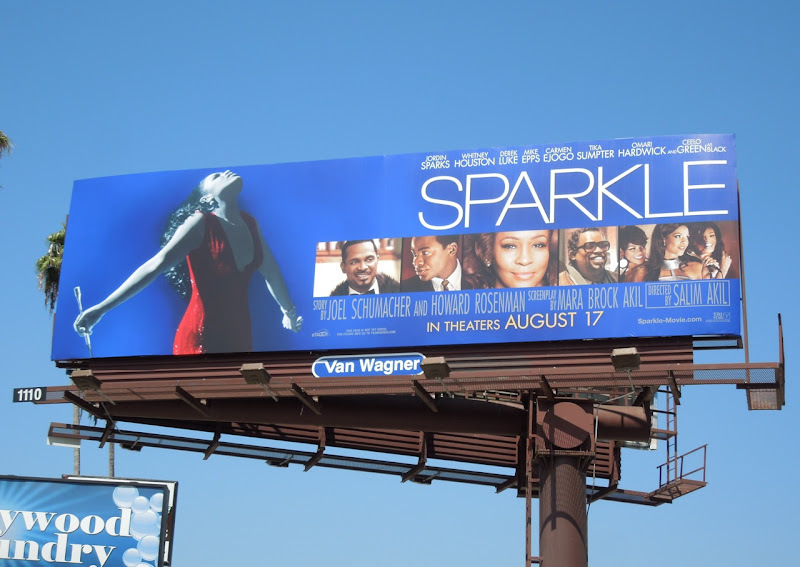 This version shows off more of Ms. Sparks as 'Sparkle Williams', with a nice extra touch of an 'S' motif in the background to highlight her moment in the spotlight.